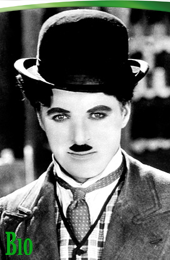 1889 On the 16th of April Charles Spencer Chaplin was born in London, Great Britain. He was one of the biggest names in the history of the cinema, being mostly known as Charlie Chaplin. 1897 Young Chaplin started to work with the Eight Lancashire Lads troup. 1908 Chaplin changed his troup, moving to the pantomime troup Fred Karno. 1914 The actor made his movie start by receiving a role in the american production Make a Living. 1915 The actor signed a contract with the movie production company Essanay, which would bring him fame. In the same year he starts playing the famous role of the tramp, that became one of his trademarks. 1916 Charlie signed with his second movie production company, the Mutual Company. This collaboration brought him some his most important roles of his career, such as the ones in 1 A.M, The Rink or The Vagabond. 1919 Chaplin launches his own movie production company, called United Artists. 1921 The movie The Kid was released, yet another big success for Chaplin. 1925 Charlie starred in Gold Rush, movie that he declared to be the one he wanted to be remembered for. 1931 The movie City Lights was released, setting selling records for that time. 1940 Chaplin played his iconic roles in The Dictator, movie in which he mocked Hitler’s and Mussolini’s regimes. 1943 The actor married Oona O'Neill, with whom he had a happy marriage and eight children. 1967 The actor played in his first and only colored movie, which is also the last movie he ever played in. The movie was called A Countess from Hong Kong. 1972 Charilie Chaplin got an Academy Award prize for his entire career. 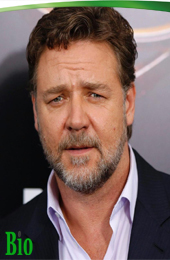 1975 The Queen of England knighted him for his services to acting. 1977 On the 25th of December the actor died in his home in Switzerland.